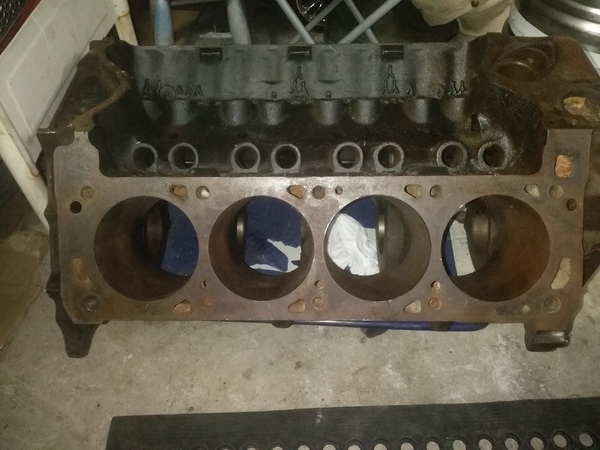 Seeking advice regarding the value of an XE block with 2 bolt main caps. Down here in New Zealand, got left this block which i know zilch about until i goggled the cast number. Does it seem genuine ? Is it worth getting tested and what's a ballpark figure? 1) check the bore.....see what you have to work with. If it is still standard dimension (4.0"?) then you are ahead of the game. I believe that these blocks were cast with more meat.....but couldn't tell you where the metal ended up.....sonic testing will reveal wall thicknesses. 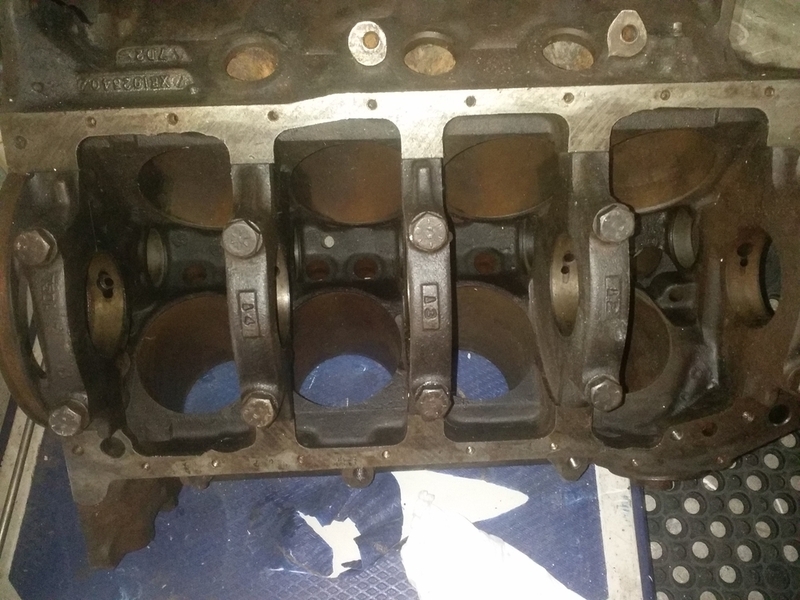 Never jump to a .030" overbore......see if +.010 will work, if not then .020"...... Custom pistons are available from........ CRS...... Cleveland expert here in the US......likely from guys down under as well! 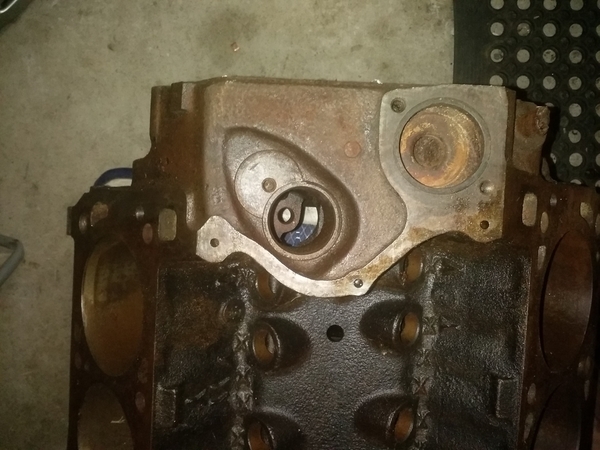 3) Don't discount this block just because it's a two bolt main. 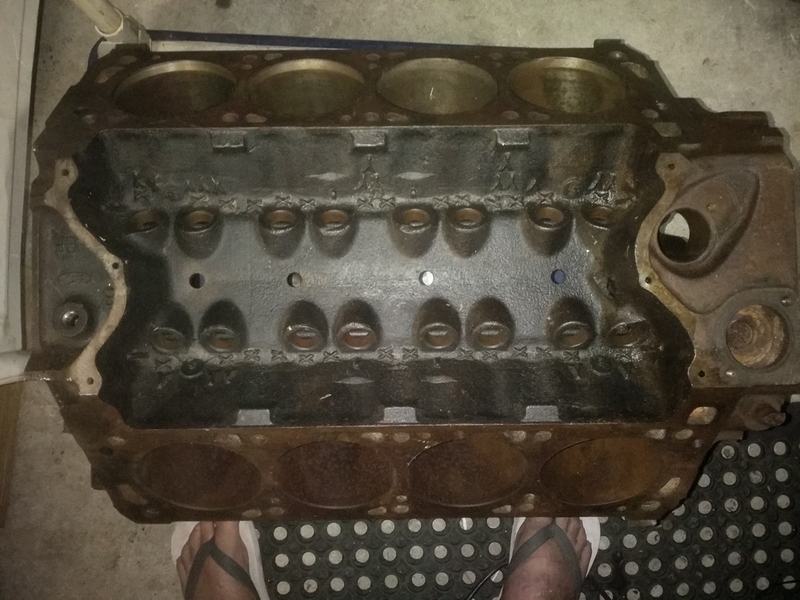 Unless you are going to try and spin this at 8K rpms for more than 1/4 mile at a time, you really don't need the extra bolts........ Also, your main caps actually may already have more meat on them! I can't say for sure, but they look to be pretty beefy!!! If this is the case.....again, you are ahead of the game. The blocks were cast in Australia (at the Geelong plant in Norlane) for US Ford's racing program. 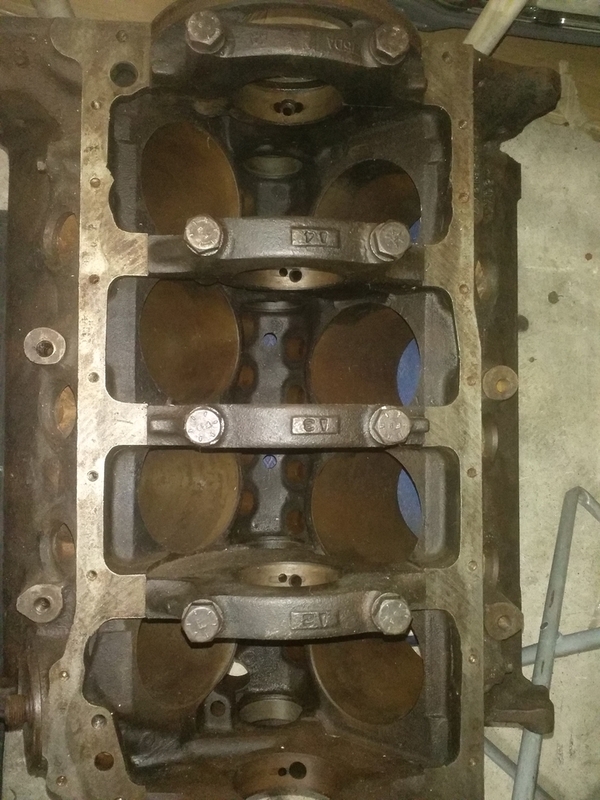 The cylinder walls were about 0.220 inch thick on the thrust walls as I remember. The outer cylinder walls were oval shaped, thus there was a small gap in the water jacket between adjacent cylinders. The non-thrust walls were about 0.160 inch thick. For comparison the thrust walls of the "standard" block are nominal 0.160 inch thick ... assuming there's zero core shift. US Ford only accepted the best castings, those with near zero core shift, thus the cylinder walls were uniformly thick. The good blocks were equipped with nodular iron 4 bolt main caps and shipped to America. The castings that weren't good enough for US Ford were equipped with standard 2 bolt main caps and used by Ford of Australia in standard production vehicles. 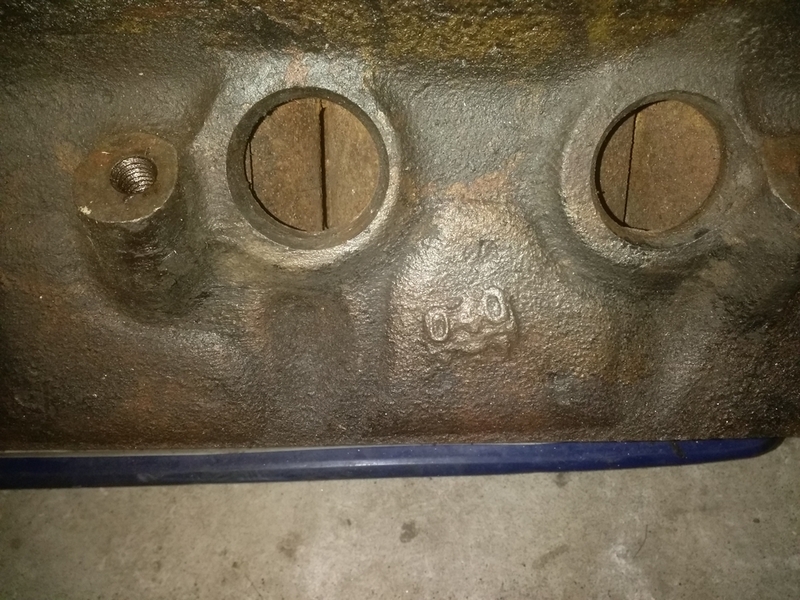 These blocks with the pillows on the sides of the water jackets were supposedly cast circa 1981 through 1982 (I don't know what's up with the "7D2" casting date on the block). Of course 1982 was the last year the Falcons were equipped with V8s. 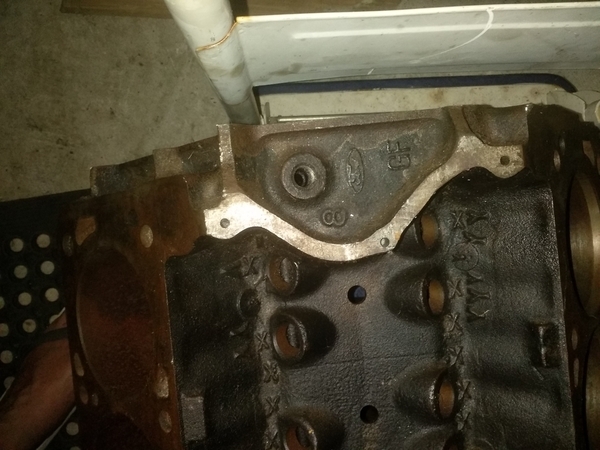 The block isn't as valuable with 2 bolt caps as it would be with the nodular iron 4 bolt caps. 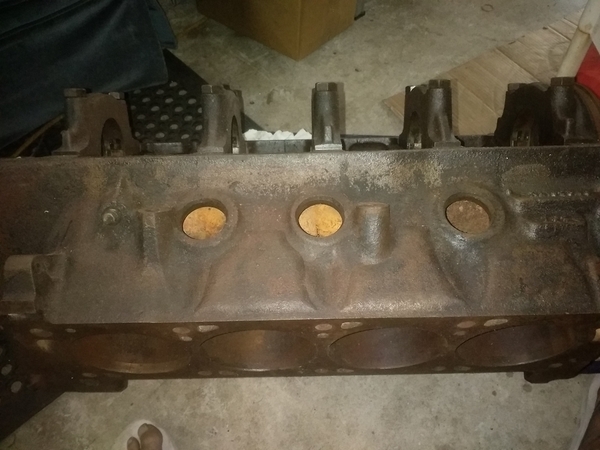 We know this particular block is one which had too much core shift for US Ford, but the question is how much core shift did this block have? It has the potential to be a desirable block, but until you know the wall thickness there's no telling if it lives up to that potential. Thus without a "report" showing the cylinder wall thickness of each cylinder (via sonic checking) I personally wouldn't pay any more for this block than I would for any other rusty used block with 2 bolt main caps. 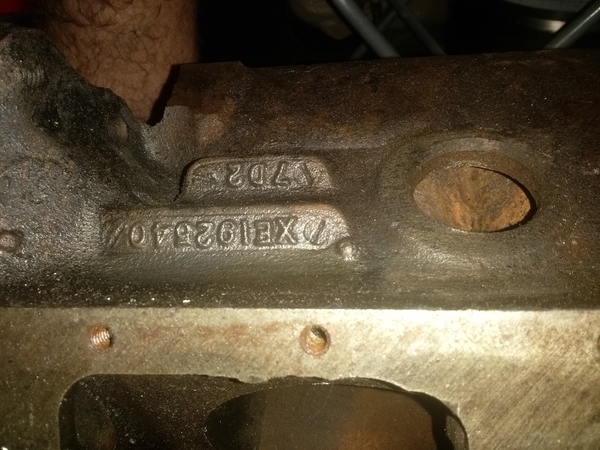 Also note that it was painted black, which dates it as 1979 or later, and the later blocks were machined for Bosch distributors. Great info! Sooooo, if 81-82 is the pillow side blocks like this.,..... and the land of Aus being sorta Euro in nature.....that date code would be unlike the US dates....where Year Month Day is the rule......but in this case, and for other things Euro......it would appear Day Month Year...or 7th of Feb, 1982 ??? 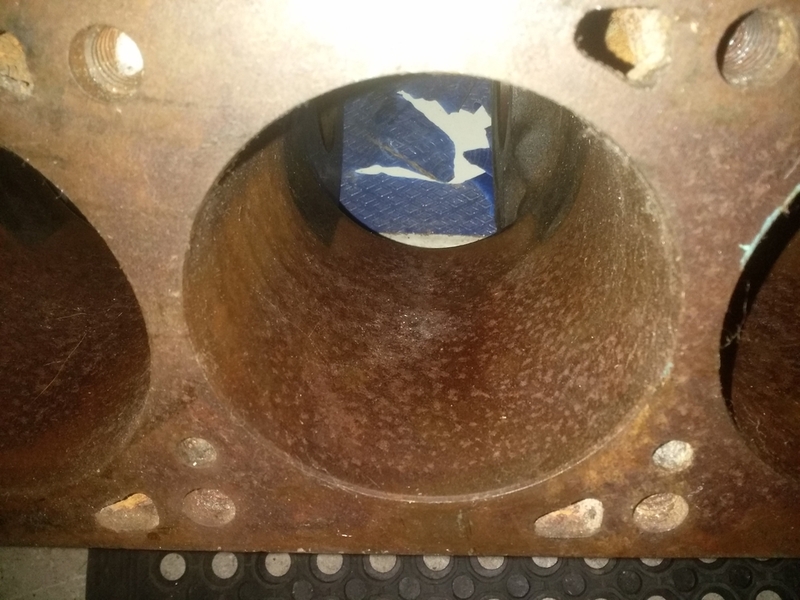 if sonic testing reveals a core shift issue, the affected cylinders can be offset bored to preserve as much material as possible. your machinist will know what to do. Thanks guys, trying to track down a place here to perform a sonic test and hopefully not too far from me, what in usd would a test roughly cost there? Kinda depends on how many points are checked in each cylinder, but $75 to $200 would be typical.